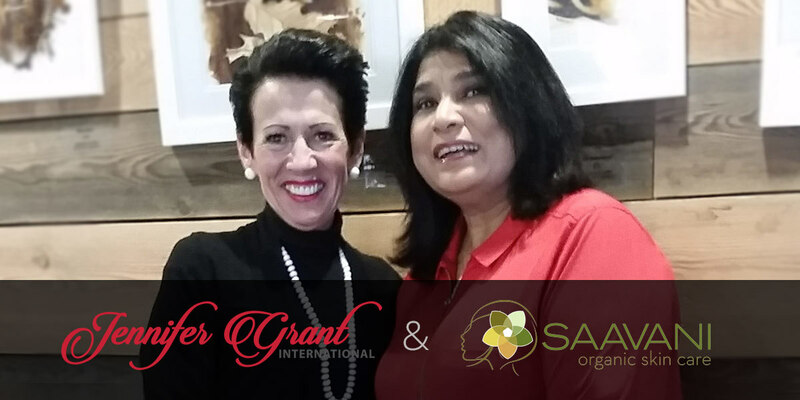 We are thrilled to announce that Jennifer Grant International and Saavani All Natural Skin Care have formed a strategic alliance to educate men and women on the importance of personal and professional image and skin care. Sarita Gopal, the President and Owner of Saavani All Natural Skin Care, is a Certified Aroma and Beauty Therapist with extensive experience working with Ayurveda herbs and essential oils. Based in Kelowna BC, Saavani All Natural Skin Care creates and formulates all natural Okanagan plant based products in collaboration with a local renowned nutriceutical biochemist. This alliance will offer expert advice and awareness to women and men on how they can improve their image on a holistic level.